a Visit to Soapwalla Studio in Gowanus, Brooklyn. They call this their "Kitchen" area, where they use edible ingredients apply into their products. This office is full of dinosaurs everywhere! With Rachel and Stacey of Soapwalla. Thanks a ton for great time! Our journey finding Organic beauty brands continued, and luckly this time we got a chance to visit Soapwalla's Studio (aka Kitchen) in Brooklyn last month. Rachel Winard, Founder of Soapwalla, started making her own skin products when she discovered her illness caused very sensitive skin issues while she was in Law School, and eventually developed it into her own business. It was very inspiring to listen to her stories and learn about natural ingredients that we would never have known - like about 47 different types of Lavender exists! 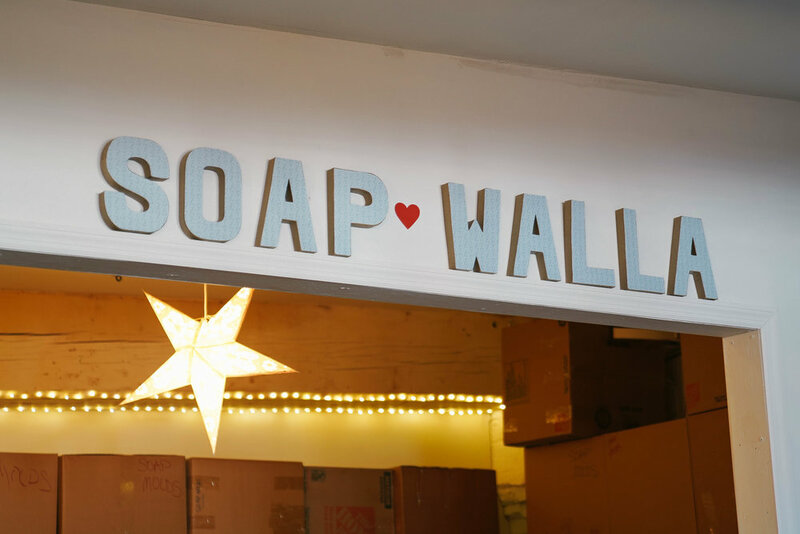 Besides using only Natural/Organic ingredients, Soapwalla also uses actual edible ingredients into their products that can be fit into any skin situations that need to be served. We loved their products especially for their soft scent they carry and ease to put on both dry face and body for extreme moisture. Thank you so much again to Rachel and Stacey for inviting us to their happy place and share their inspiring stories.